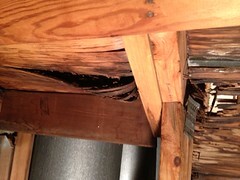 I will request permission of the Board to forward you the repairs to the common element roof as you have requested. 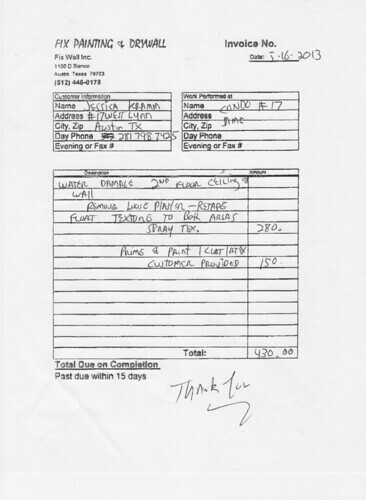 Also the permits were closed by the only vendor I am aware of - without specific names I am unable to assist further. 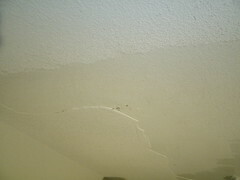 A portion of the ceiling in my unit bubbled and peeled as a result of the water damage via the roof leak. I have pictures of the area being repaired that I will submit to the HOA along with the invoice for the patch job. Any updates on Shelley's request for a structural engineer? I would not recommend having the interior repaired until the exterior is resolved. 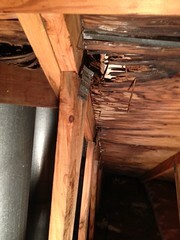 Because of the location of the damage, it was not an option to delay the repairs. Hopefully additional interior repairs will not be necessary. 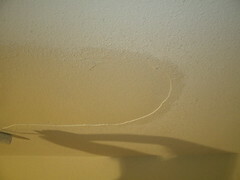 The water-damaged portion of the ceiling caused all of the texture to bubble, crack, and fall off. The pictures show the perimeter of the damaged area and the source of the water. 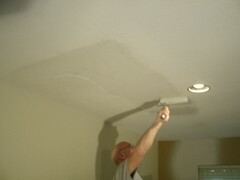 We had to scrape away all of the wet areas so that the moisture didn't continue to spread through the rest of the ceiling texture. Please let me know if there's any additional information I need to submit at this point. It's my understanding that this reimbursement will go before the board at the next meeting. Is that correct?